Join The Stupendous Adventures of Mighty Marty Hayes!! We’re thrilled to be introducing a wonderful middle-grade novel “The Stupendous Adventures of Mighty Marty Hayes” written by Lora Hyler. It’s a fast-paced adventure about children who have a passion for science, a fascination for all things spy-related and are just understanding that they have inherited some special talents. An African-American tween uses espionage skills and superpowers in Lora Hyler’s debut middle-grade novel “The Stupendous Adventures of Mighty Marty Hayes“. Lora joins us to discuss this entertaining series that features a multicultural cast of superhero kids who love science and spy gadgets! We thoroughly enjoyed learning about this fun book and we hope you will too. Take a listen! Lora Hyler’s middle-grade novel, The Stupendous Adventures of Mighty Marty Hayes features a multicultural cast of superheroes, working on the new CRISPR-Cas9 gene editing technology in their advanced 7th-grade classroom, and have a love of spy gadgets. 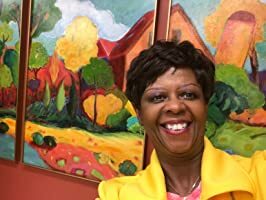 Lora’s love of reading began as a child and carried over into a radio news career for NPR affiliate, WUWM and ABC affiliate, WISN, both in Milwaukee, Wisconsin. She’s also worked in television, and has a background in corporate communications management, working for Journal Communications and WE Energies. In 2001, Lora founded her own public relations and marketing company, Hyler Communications. She’s won the Jade Ring Award from Wisconsin Writer’s Association, along with several screenwriting and news awards. Lora is a member of the Society of Children’s Book Writers and Illustrators and is a popular presenter at conferences and book festivals. She lives in Glendale, WI with her husband, Ken and enjoys spending time with their son, Will and his Russian Tortoise, Speedy. The 7th graders of Windsor Middle School are excited to start the new school year in their Advanced Science classroom. They’ll work on CRISPR-Cas9, a new gene editing technology exciting scientists all over the world. Marty’s school year gets hectic as his newfound superpowers inherited from his grandmother begin to develop. She used her powers to help Dr. Martin Luther King, Jr. during the U.S. Civil Rights era. Marty shares a love of science and all things spy-related with his best friend, Christopher, who witnesses incidents Marty can’t explain away. Despite a promise to his grandmother, the two are soon testing Marty’s superpowers. Then, Marty begins falling for Aisha, the cute curly-haired girl in his advanced science classroom, who has a superpower of her own. A high-tech drone regularly hovers around the classroom and the homes of the students. Piloted by international goons, they awaken the annoying school bully, Wade, to his own superpowers and convince him to steal valuable CRISPR-Cas9 data. Marty, Christopher, and Aisha band together to stop the theft of the technology at their beloved International Spy Museum in Washington, D.C. Who will win? International goons or the superhero team of “Advanced Science 303”? Click the Amazon link below to check out the book, reviews and to purchase a copy! What was the inspiration for her book and the characters? Some fascinating facts about the illustration and illustrator of the book. Was it Lora’s idea to include the images and can we look forward to more images in her upcoming books? Lora, you rule. Thanks for doing this interview, best of luck with The Stupendous Adventures of Mighty Marty Hayes! If this podcast resonates with you, please subscribe on iTunes. And please spread the word: tell your friends, and leave a rating on iTunes so that others can find it.